Delta’s new route from Shanghai to Atlanta starts on July 22, 2018, offering a fourth nonstop link to the United States and connections to 200 destinations. Convenient one-stop connections are available from Shanghai via Delta’s Atlanta hub to popular cities across the U.S. including: Boston, New York, Miami, Orlando, Raleigh Durham, Pittsburgh, Washington D.C. and Baltimore. 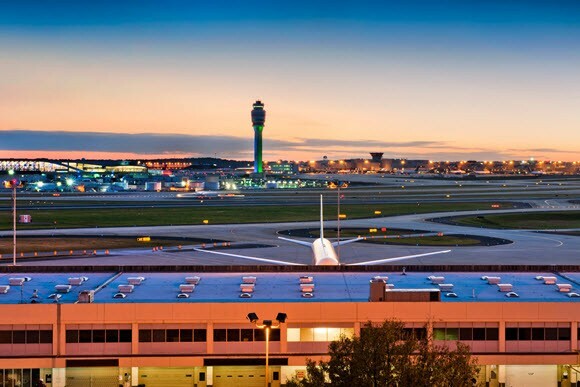 It may be the world’s busiest airport, but connecting in Atlanta is simple. Here are some easy steps to help make your customers’ journey through Delta’s largest hub hassle-free. International arrivals, including Delta’s Shanghai flight, arrive into Concourse E or F at the Maynard H. Jackson Jr. International Terminal in Atlanta. · Connecting passengers follow signs to Passport Control at Concourse E.
· Passengers staying in Atlanta follow signs to Concourse F, clear Passport Control and collect their bags. · Customers follow signs to Passport Control and baggage claim at Concourse F, regardless of whether Atlanta is their final destination or if they are connecting. o Available for eligible customers entering with a B1/B2 or D visa, utilizing ESTA (Visa Waiver Program), U.S. citizens, U.S. legal permanent residents and Canadian citizens. o Travelers proceed to APC kiosk, scan their passport and follow the on-screen prompts. o Kiosks are available in Chinese; people residing at the same address can be processed together. o Travelers not eligible to use APC kiosks proceed through Passport Control as usual. o Chinese-speaking translators are available at all Delta hubs, including Atlanta. Customers don’t need to reclaim or recheck bags for connecting flights, however they have to clear security before heading to their next departure gate. Delta’s domestic flights and departures to some Latin American and Caribbean destinations leave from Concourses A, B, C, D and T.
The Sky Train runs every few minutes and connects every concourse, making it easy for customers to get from the International Terminal to their next flight. Meanwhile, multiple digital screens around the airport give them the latest status on their next departure. Customers using the free Fly Delta App will find a handy step-by-step Wayfinding map for the Atlanta hub in the palm of their hand. Delta’s Wayfinding Maps use familiar technology to guide customers through the airport with ease, helping them locate the SkyTrain, their next gate, the nearest Delta Sky Club, shops, cafes, restaurants and more. Wayfinding maps are available for all Delta’s largest U.S. airports. See the Atlanta map, here. The Fly Delta App also lets customers know where their bags are throughout their journey. RFID tags on all checked bags sync with the app, so they can see when their bag has been loaded on their next flight simply by checking their phone. Customers staying in Atlanta will receive a notification telling them which carousel to retrieve their bag from. Delta’s Sky Clubs offer customers the perfect place to escape the gate and there is a Club in every concourse. Complimentary Club access is offered to Delta One customers on international flights or with same day connections to/from an international flight. A variety of fresh, healthy food options is on offer throughout the day, as well as a wide selection of complimentary beverages. The Club at Concourse E offers an outdoor Sky Deck and an Asanda Spa, offering a variety of treatments.